The mast of a sailboat is reflected in calm waters near Jordo, Sweden. 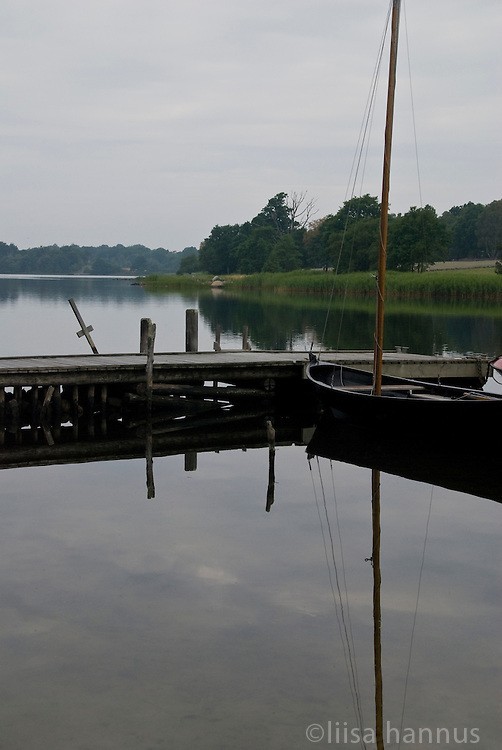 The mast of a small wooden sailboat is reflected in the still waters near Jordö, Sweden. These Baltic waters are exceptionally calm thanks to the protection offered by the many islands in Sweden's southern archipellago near Karlskrona.